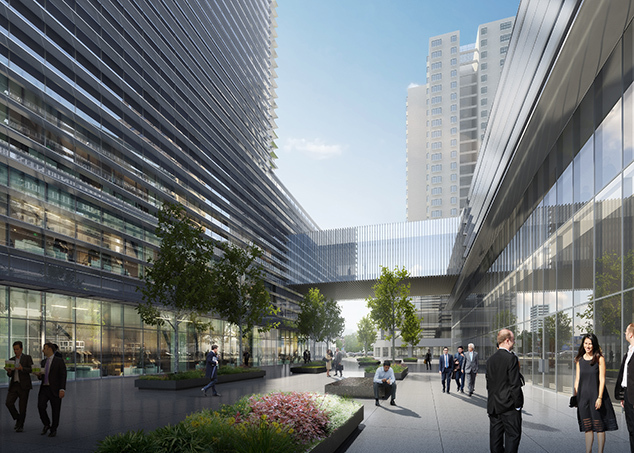 EID Architecture has been selected as the winner of design competition for Wuchang Center, a large scale mixed-use project located in the heart of downtown Wuhan, China. 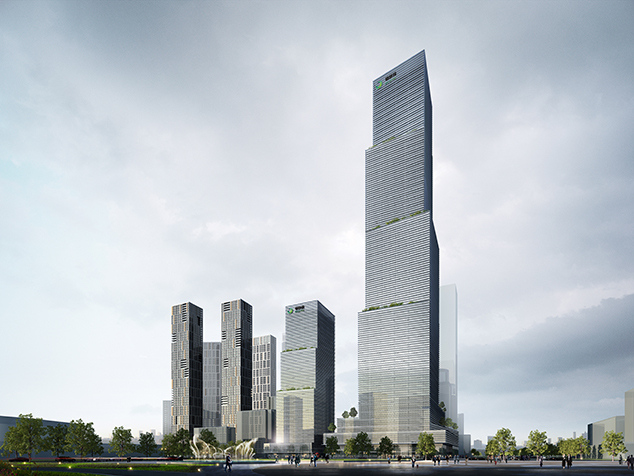 Developed by ECOTIC, this project will be a centerpiece for revitalizing the historical Hongsan Square district, while providing pedestrian friendly streetscape. 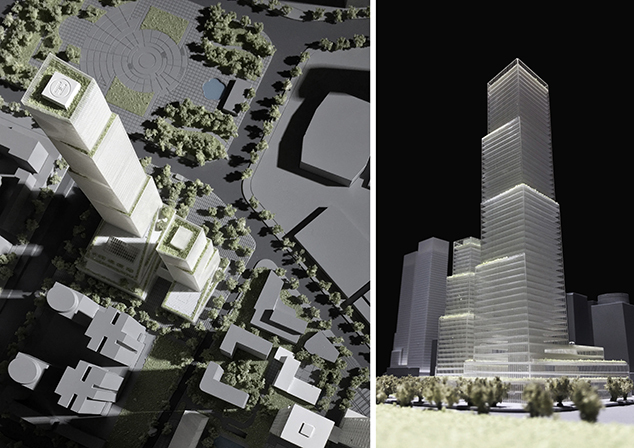 “The design of Wuchang Center is an exploration of new paradigm for large scale mixed-use project in Asian urban centers, where internalized shopping center typically takes a predominate role among other uses. The ethos of Wuchang Center is centered on creating permeable public space, maximizing the accessibility of open space by providing multiple vertical gardens at different tiers”, said Ping Jiang, AIA, Design Principal of EID Architecture. 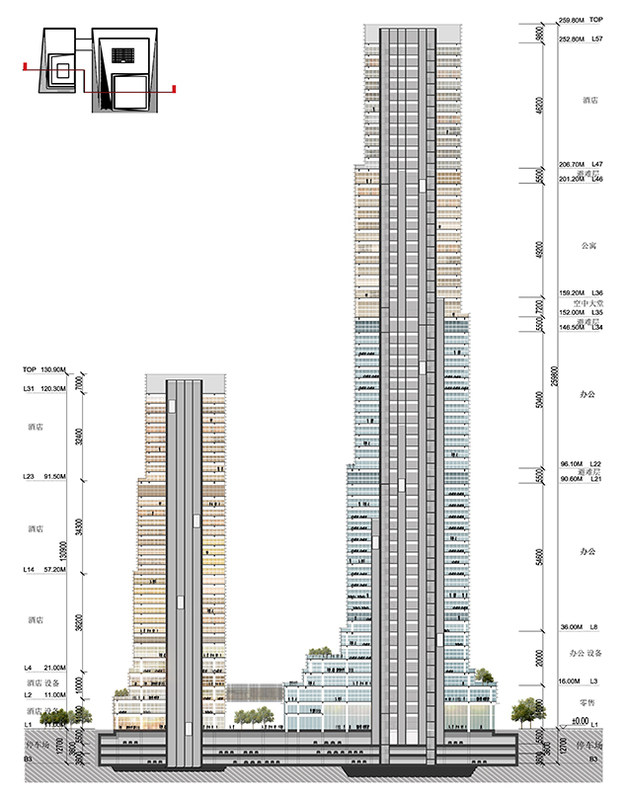 With a soaring tower 260m in height and approximately 450,000 sqm of commercial and residential space above grade, Wuchang Center is organized around a stacked mixed-use program, comprising retail, office, a 5-star luxury hotel, and residential units. Among 6 shortlisted firms, EID Arch's winning scheme takes form of ascending terraces, creating a gateway to the city center. These setbacks on the massing form roof terraces at different tiers, evoking an imagery of vertical gardens. 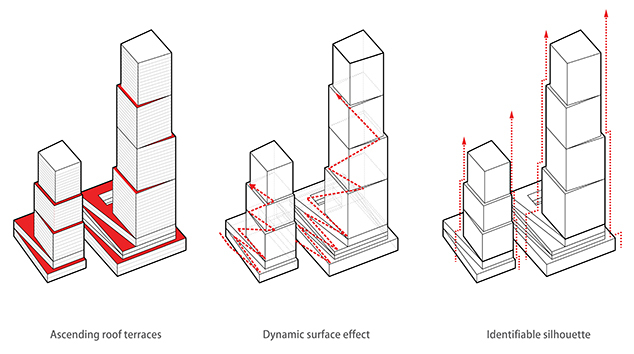 The shifting planes of the commercial towers gesture towards the Hongshan Square, creating a dynamic surface effect. 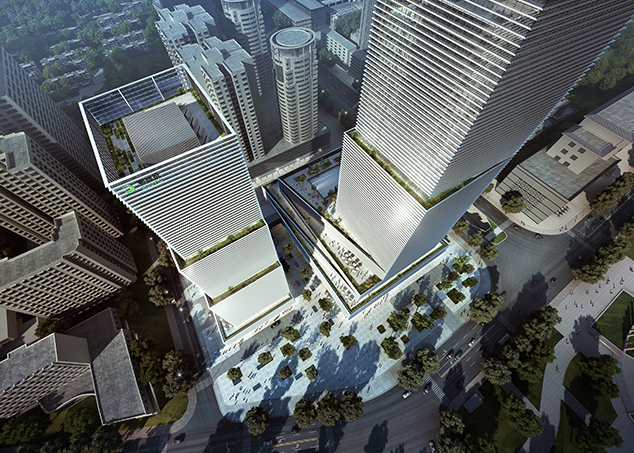 The sculptural quality of the massing, and identifiable silhouette of Wuchang Center enable ECOTIC to bestow a beautiful monument to the city skyline. Parcel B for residential is intended as an open neighborhood, with a mix of luxurious apartments and small units.